James Alan Gardner has been called “one of the most engaging reads in SF.” His debut novel, Expendable, was acclaimed by some of science fiction’s most esteemed authors. 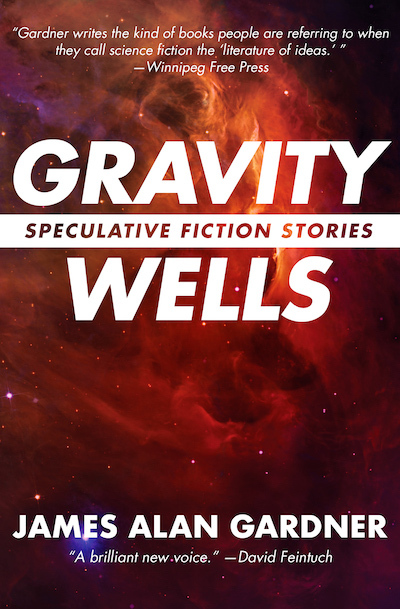 Now, in Gravity Wells, he brings together some of the stories that have helped solidify his reputation as one of the greats in speculative fiction. This collection consists of stories making their debut, previously published stories that have won the Aurora Award, the grand prize in the prestigious Writers of the Future contest, and tales that have been nominated for Hugo and Nebula Awards.